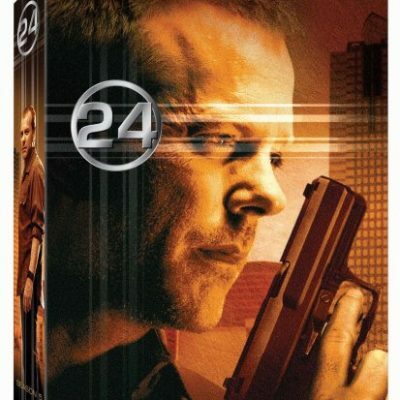 Among the most innovative one-hour dramas ever to explode onto the small screen, 24 has exhilarated viewers and critics worldwide for eight electrifying seasons. 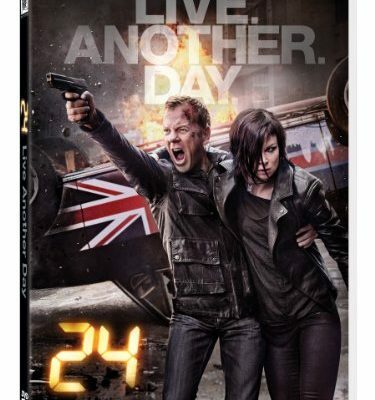 Emmy® Winner Kiefer Sutherland stars as counter-terrorism agent Jack Bauer, whose rogue tactics constantly pit him against his superiors. 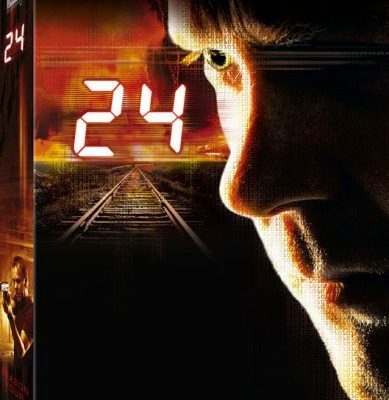 With tension-filled storylines unfolding in real time, and a brilliant supporting cast, 24 remains one of TV’s most talked-about series. This unparalleled 56-disc collection offers all eight seasons, the feature-length 24: Redemption, and a bonus disc of never-before-seen special features. Arguably the series' best season to date, season 5 of 24 literally starts with a bang and never lets up, with an intricate executive-level conspiracy to control Central Asia's oil supply. Piling crisis upon crisis in an escalating series of deceptions, twists, and deeply hidden agendas, the day-long ordeal begins with a devastating political assassination connected to a disgraced former CTU agent (Peter Weller) and a radical group of Russian separatists (led by British actor Julian Sands) threatening to release lethal nerve gas in Los Angeles to protest a U.S./Russian treaty about to be signed by President Charles Logan (Gregory Itzin). 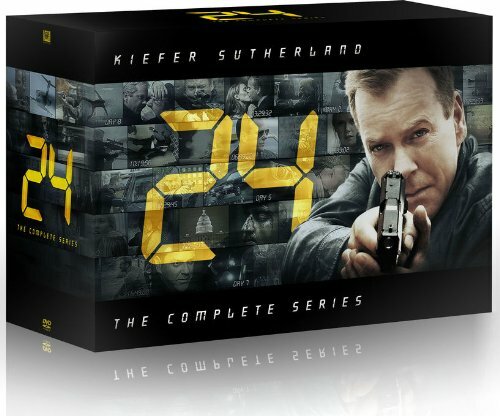 As Logan's unstable wife Martha (Jean Smart), Secret Service agent Aaron Pierce (Glenn Morshower), and chief of staff Mike Novick (Jude Ciccolella) gradually uncover the conspiracy, CTU maverick Jack Bauer (series star Kiefer Sutherland) emerges from self-imposed exile to aid his CTU colleagues in a life-threatening quest for the truth. Meanwhile, CTU chief Bill Buchanan (James Morrison) is thwarted by an inexperienced, overbearing superior (Sean Astin) and an executive takeover of CTU led by Homeland Security chief Karen Hayes (Jayne Atkinson), forcing Bauer and his CTU loyalists to "go dark" and work independently to honor the memory of a slain friend and leader. Also figuring in are CTU's resident hacker-nerd extraordinaire, Chloe O'Brian (played to perfection by Mary Lynn Rajskub), Bauer's estranged daughter (Elisha Cuthbert), and his beloved CTU colleague Audrey Raines (Kim Raver). Network television's most exciting series ends with a bang--a lot of bangs, in fact, along with multiple bams, whams, and booms---as 24 bows out with this six-disc set of episodes from its eighth and final season. 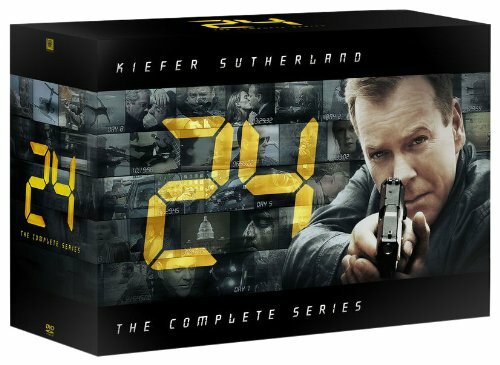 As the action begins in New York City, Jack Bauer (Kiefer Sutherland), now a grandfather, has retired from his gig at the Counter Terrorist Unit (CTU) and plans to move to California to be with his family. Yeah, right. When he learns of a plot to assassinate President Omar Hassan (Anil Kapoor) of the mythical Islamic Republic of Kamistan--who's set to join the U.S. president, Allison Taylor (Cherry Jones), and the Russian leader at the United Nations, where they will sign a historic agreement that will end Kamistan's nuclear program and bring lasting peace to the Middle East--Jack leaps right back into the fray. Needless to say, the plot thickens faster than the pools of congealed blood he inevitably leaves in his deadly wake. 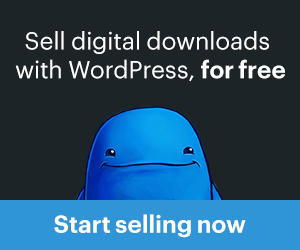 Who's behind the assassination scheme? Is it Hassan's power-hungry brother, who has no desire to give up his country's nukes, or is he in cahoots with bigger, more sinister forces? Are there even CTU operatives involved in these dastardly machinations? Can Jack trust a single soul other than himself? That he will get to the bottom of all of this (or the top, as a central conspiracy reaches to the very highest government levels) is a given. That he will indulge in some questionable tactics to do so, including cynically using his allies and brutally torturing his enemies (depicted in some intense and rather graphic scenes), is also expected, especially as his relationship with a disgraced former FBI agent (Annie Wersching) ups the personal ante for him to the point of near-madness. Whether he will survive this particular day intact, however, is another matter entirely.